88-08 Justice Avenue, the latest monument to market rate apartments. Elmhurst Queens isn’t exactly known for its construction boom, but hey, this is January 2019. 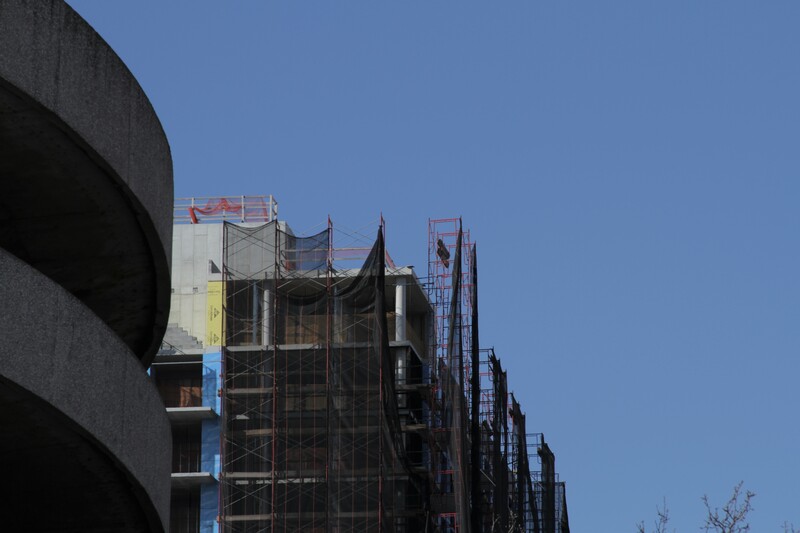 The neighborhood, known for its burgeoning Chinatown, tons of retail, Queens Blvd, and copious low-to-midrise apartments, co-ops, and condos, will now have a nascent skyline. Topping off at 18 stories, the Justice Avenue Tower is the tallest building in Elmhurst, but even at this height, the tower is three stories shorter than The Alexander in neighboring Rego Park. 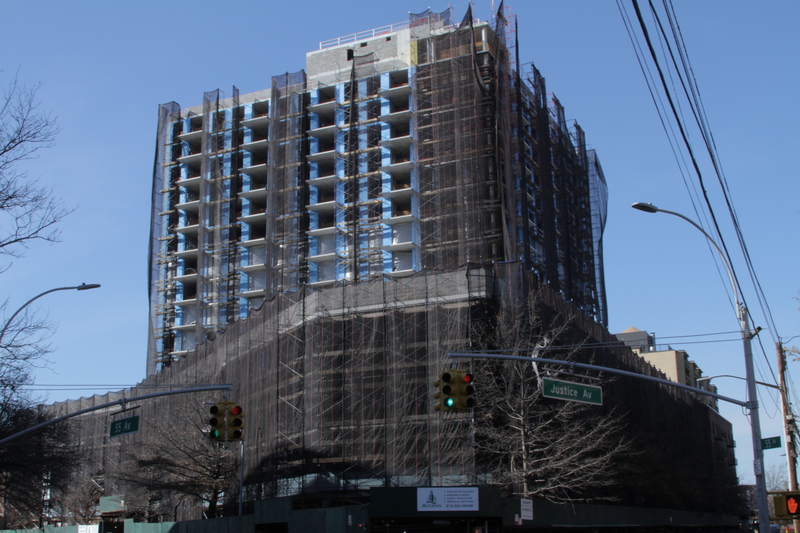 Let’s analyze whether the Justice Avenue Tower has any rent stabilized or affordable housing. That’s not the Guggenheim, that’s the Target parking garage spiral. The first stop of our analysis might as well be United Development & Construction Group’s website. United is a prolific real estate development company that operates mostly in the Flushing/northern Queens area, and is helmed by president and founder Jiashu (Chris) Xu. According to the project’s webpage, we’re already looking at an ominous sign for affordability. 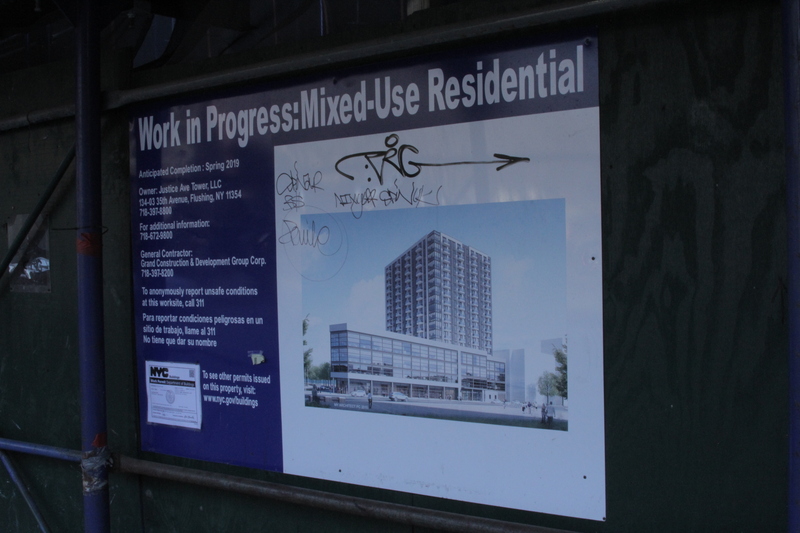 According to United, this project is a 184 unit condo, at least at first blush. While this project may become a condo at some point, so far there is no condo declaration filed in ACRIS. Also, according the the latest DOB occupancy and use application, the building’s units are referred to as “residential apartments.” And finally, if the building was to be come a co-op or condo, the New York State Attorney General Real Estate Finance Bureau has to approve it first, and even the broadest search indicates no hint at a co-op or condo filing. At least not yet. Broad search for the project finds no co-op or condo results. Whenever we see new construction, there’s always the chance a 421-a tax benefit is attached to the property. Such a prospect is low in Elmhurst, since large scale construction wasn’t really a thing until now. And a look at the property tax bill confirms there are no benefits attached to the property. Our last chance would be some kind of regulatory agreement conveying rent stabilized status through some kind of land use action, but again, there is nothing in ACRIS (link above) that indicates any affordability. 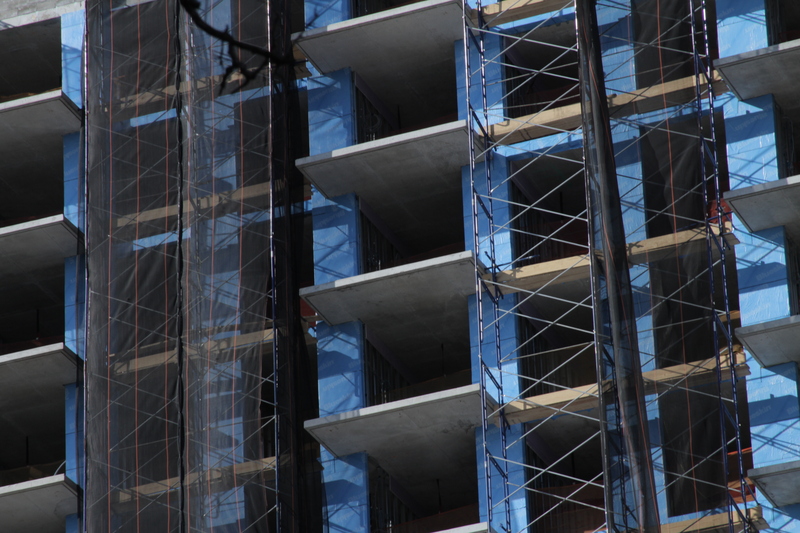 Considering the anticipated completion date is 2019, any such co-op or condo application should have been approved by now. So the time is ticking, but if the YIMBY article is right about condo status, developer Chris Xu can always pocket the lower floors and rent the upper floors and adjust plans according to how the housing market ebbs and flows in Elmhurst. Mr. Xu’s confidence must be substantial, considering the property was purchased for $26,000,000 back in 2014. In today’s dollars, just a few short years after purchase, that may turn out to be a bargain considering the strength of the fast growing Asian community in the area. View of Justice Tower looking west from 55 Ave and Justice Ave. The location is perfect if the intense intersectional traffic of Grand Avenue and Queens Blvd excites you. The Q53-SBS, Q58, Q59, Q60, Q11, Q21 buses, and E, F, M, R trains are less than a 5 minute walk from the site, with two large malls, Queens Place and Queens Mall, within walking distance. Anticipated look to completed project.